Sister Nora McCombs, member of the diaconate of the United Evangelical Lutheran Synod of North Carolina, 1960 Diamond Jubilee brochure. KANNAPOLIS — The funeral will be Friday for Nora McCombs, 93, Kannapolis, who died Tuesday (Aug. 3, 1999) at NorthEast Medical Center, Concord. Born Jan. 6, 1906, in Rowan County, Miss McCombs was a daughter of the late Charles V. and Mary Brown McCombs. She was a member of Kimball Lutheran Church. 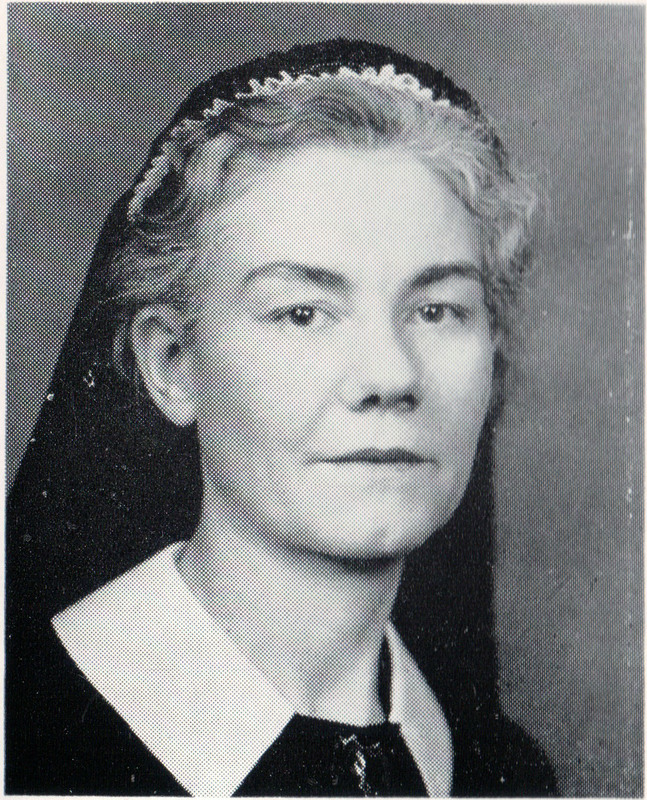 She was a 1923 graduate of Kannapolis High School; a 1924 graduate of Mount Amoena Seminary,Mount Pleasant, where she was a business major; a 1929 graduate of New Charlotte Sanatorium, Charlotte, where she studied nursing; and a 1934 graduate ofLutheran Deaconess Motherhouse, Baltimore. She joined the U.S. Army Reserve in 1935 and during World War II served in the U.S. Army Nursing Corps. Miss McCombs later served as head nurse at the National Lutheran Home for the Aged in Washington, D.C., and nurse, deaconess and house mother at Gettysburg College in Gettysburg, Pa.
Services: 11 a.m. Friday, Kimball Memorial Lutheran Church, conducted by the Rev.Doug Kearney and the Rev. Hoke Ritchie. Burial, Carolina Memorial Park. Visitation: 7-8:30 tonight, Whitley’s Funeral Home. Memorials: Kimball Memorial Lutheran Church, Memorial Fund, 101 Vance St., Kannapolis, N.C. 28081.